Please send an email to TheHungryAsian@gmail.com with the subject line Polish Order. Custom orders: I will only take 3 custom orders this time. If you would like to add a custom polish to your order please describe what you envision for it. What kind of finish is it? Is there glitter? What colors do you see in it? Or you could leave the details up to me if you are brave enough :) I cannot guarantee any custom orders it really depends on what you want and what supplies I have. I will email you back to work out the details of your custom order if I can make it. Otherwise I will just invoice you for your normal order. Only 1 custom order per person please. It may take up to 5 days to make a custom polish so it will delay your entire order until the custom is ready. If you didn't get the polish you wanted, don't worry I will restock my bottles as soon as possible. This batch of bottles came from Transdesign, the brushes are not of the best quality they are thin so please do note this beforehand so you are not surprised once you get your polish. I am trying to find some better quality bottles and brushes for you! 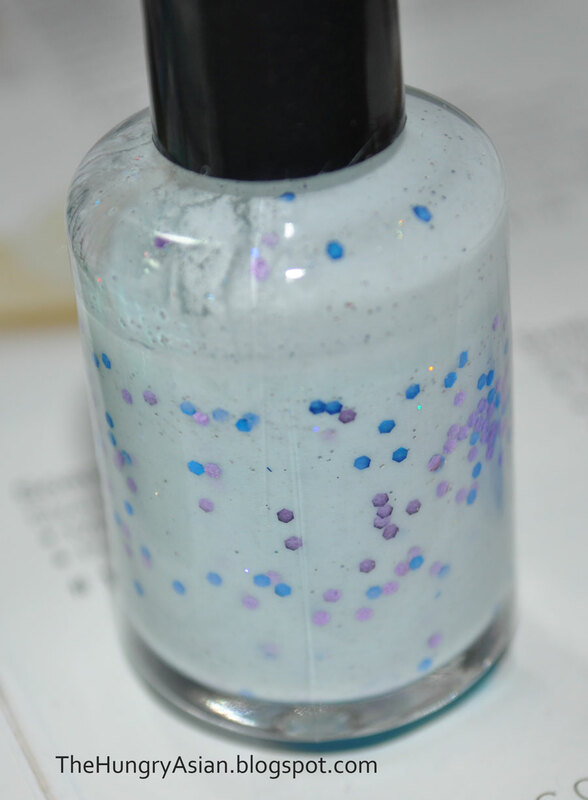 Also I do not shake my frankens with the cap on, I mix it so that there is no polish all caked up in the neck. You probably don't even need to shake it once you get it so try it out first :) I hope they travel well. 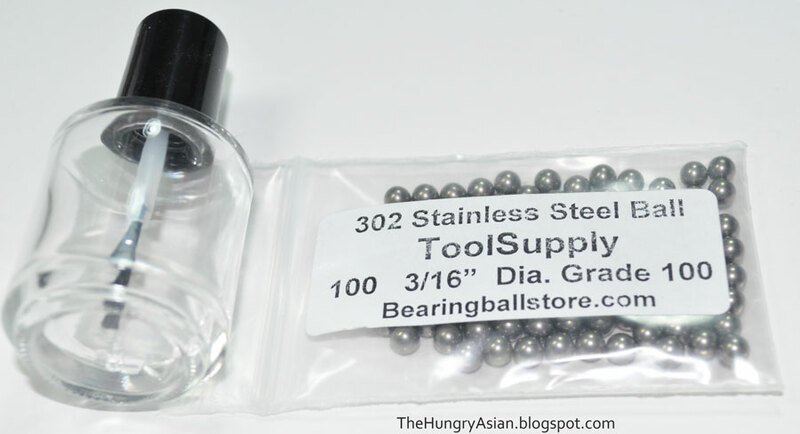 I got the balls from ebay, stainless steel so you don't have to worry about corrosion. I'm very new to selling anything so please bear with me while I learn. It gets more blue as you go left. I really wanted to make Up In The Air. The fine glitter looks lumpy on my nail wheel, I didn't try it on my nails so I dunno yet but I'm feelin it as a dud. So then I got the idea to make a pink version of it. I think it's pretty but the formula is super thin (glitter settles) because I wanted the sheer jelly finish. 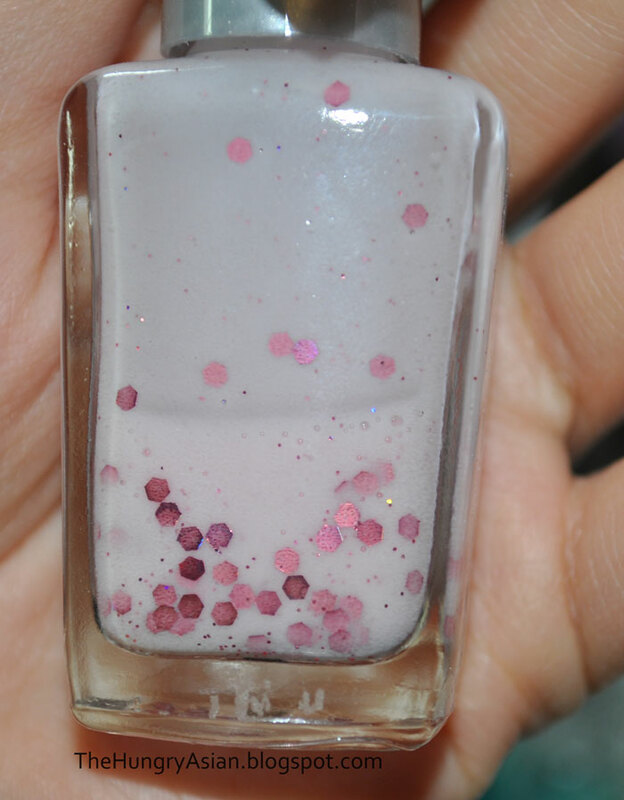 Then I made a thicker version of the pink and the creme covered the hex glitter lol. I might keep working on the pink but I have given up on the up in the air version. I was going to call it, Up Where?! Anyone have any suggestions what I should do with the duds? I hope this helps with ordering tomorrow, if you have any questions beforehand leave a comment or send me an email.